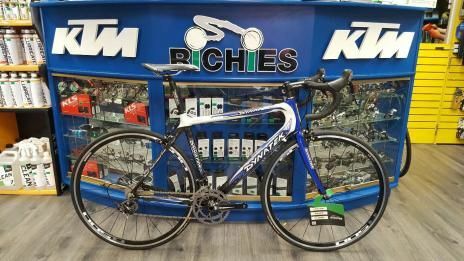 We are constantly stocking new and exciting bicycle makes and models. 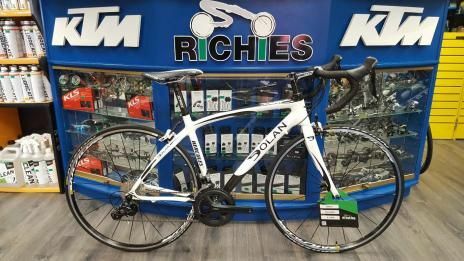 As bike manufactures continue to improve bike builds e continue to stock the very latest in bike build and bike technology. We invite customers to view the very latest models we have on offer. Are you interested in learning more about the very latest bike models available? Dynatek Sintagma, WAS 2000€ NOW 1250€!!! Tec 10 speed carbon drive chain, Tec Team 250 wheel set. 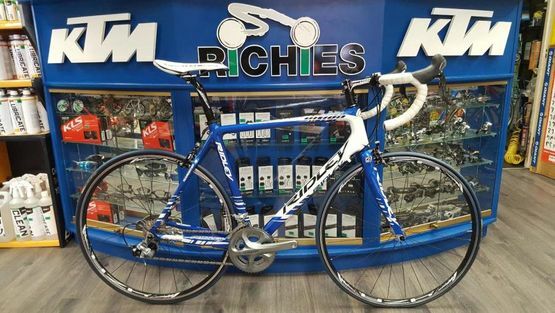 52cm frame, 54cm effective top tube, SIZE M — at Richies Bike Store. 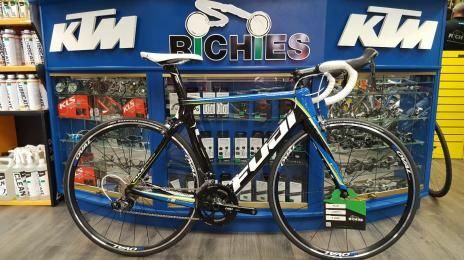 Fuji Granfondo 1.1 WAS 1700€ NOW 1450€!!! Ultegra 11 speed drive train, Vera Corsa wheel set. SIZE M — at Richies Bike Store. Fuji Transonic Team Edition WAS 2700€ NOW 2000€!!! 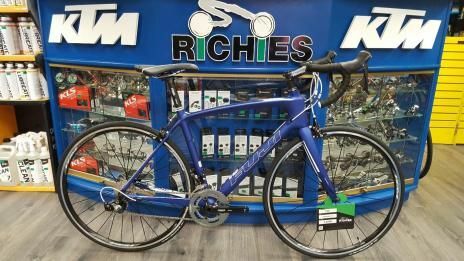 Ultegra 11 speed groupset, Oval 327 wheel set. Available in 52 and 54 frame size. SIZE S and M — at Richies Bike Store. 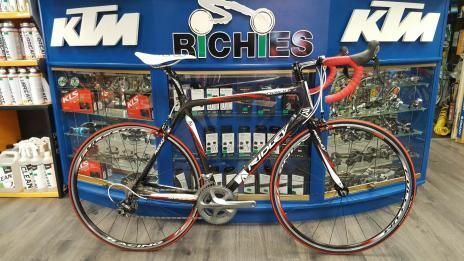 Ridley Orion WAS 2000€ NOW 1600€!!! Ultegra 10 speed groupset, Fulcrum Racing 7 wheel set. Available in M and L size. — at Richies Bike Store. Are you interested in receiving more information about our featured bikes? Ultegra 10 speed groupset, 4ZA Stratos wheel set. Available in M and L size. — at Richies Bike Store. 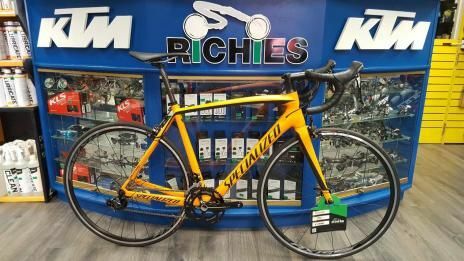 Specialized Tarmac Sport WAS 2000€ NOW 1700€!!! 105 11 speed groupset, AXIS 2.0 wheel set. Available in 54 and 56 frame size. — at Richies Bike Store. Dynatek Knauf Team Frame, WAS 1700€ NOW 1450€!!! Dolan Hercules, WAS 1800€ NOW 1450€ !!! 105 10 speed group set, Aksium wheel set. 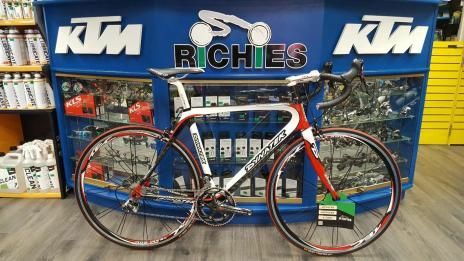 48cm frame, 54cm effective top tube, SIZE M — at Richies Bike Store.